the cheese that inspired it all: river valley's fresh tarragon goat cheese. this artisan goat cheese in incredibly fresh tasting. at such a young age, the cheese still has quite a bit of moisture in it, giving it a slightly different texture than your typical crumbly chevre. this week at the farmers market they came with a new flavor - one of my favorite herb flavors actually - tarragon! 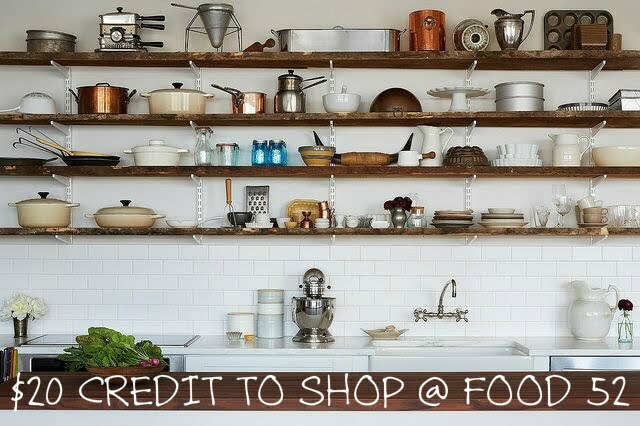 cook pasta as directed. strain and coat with a generous splash of olive oil. 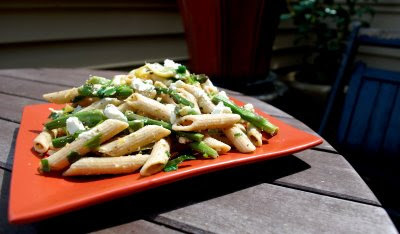 let to cool while you cut your asparagus into thirds, toss with olive oil, salt and pepper. roast in the oven at 450 degrees for about 10-12 minutes until tender. while the your pasta is still warm, mix in the zest, garlic, and herbs so that the olive oil on the pasta absorbs the flavors. finally, mix in the artichoke, asparagus, lemon juice, crumbled tarragon goat cheese with tons of salt and pepper. this dish can also be great warm, but i like the freshness of the lemon in a chilled pasta salad best! 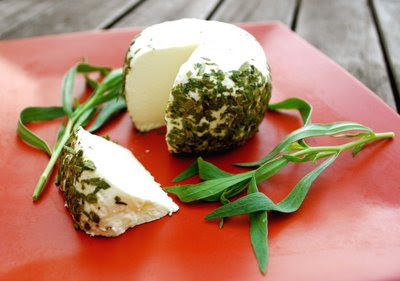 I have never had goat cheese, and I can't even imagine it with tarragon! Your pasta sounds amazing, and I agree with you on eating it cold. It would probably pair well with fish because of the citrus in it. you have me drooling! I love tarragon.